MATERIALS Shell and lining: 100% recycled polyester with DWR finish. POCKETS Two front zip-up (harness compatible). One chest, zip-up, stuff sack. Patagonia use plastic bottles, old fleeces and manufacturing waste to make recycled polyester products, and have been since 1993. Polyester is really hard to dispose of cleanly, so recycling it means less waste, less pollution, and less greenhouse gasses than making it from scratch, but the same Patagonia quality and durability. Most of Patagonia’s products contain some form of recycled polyester, make sure you take a look at the Tech Specs to find out which! Formerly known as Primaloft One, Primaloft Gold is a high quality synthetic alternative to traditional down insulation. Its structure creates millions of pockets of air trapped between its fibers that heat up and insulate you from the cold outside. The synthetic fibres have been engineered to be water repellent, meaning that even when wet they retain their loft and they dry quickly. Primaloft is also hypoallergenic. It is slightly heavier and bulkier than the equivalent amount of down, however due to it’s properties this compromise is worth it, especially if it’s likely that your insulating layer will get wet. Right from the start, Patagonia has been at the forefront of environmentally friendly production, and are still one of the only companies in the world that offer a completely transparent supply chain to anyone who cares to look. They are constantly experimenting and developing new ways to bring us durable and sustainably produced clothing - recycled polyester, organic cotton, traceable down, responsibly sourced merino and undyed cashmere are all common materials in a Patagonia catalogue. As well as using the best materials and production methods for the planet, Patagonia also make sure every one of their employees is treated fairly, from the shop floor to factories all over the world. And they donate a percentage of their yearly profits to environmental initiatives and community projects across the world. 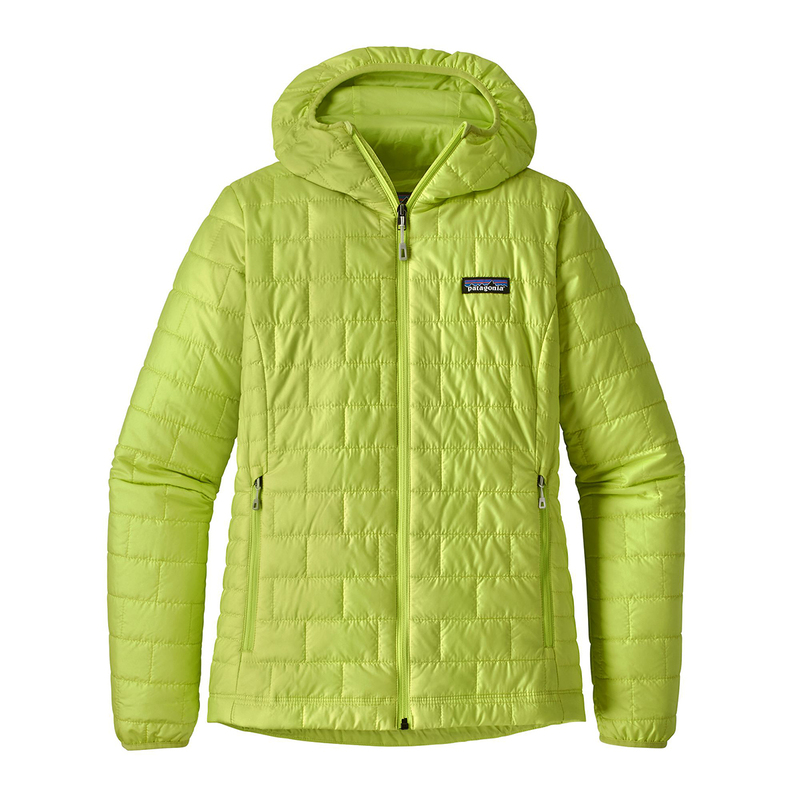 Patagonia offer an ‘Ironclad Warranty’ which means if you’re dissatisfied with the performance of a product at the time of purchase or afterwards, or if it breaks unexpectedly, they will provide a free exchange, refund or repair. They will also repair damage due to wear and tear for a reasonable price, and have a section on their website that teaches you to repair your own clothing, so there is no need to unnecessarily buy new gear.